EMAS certification is the result of an important choice we took at the beginning of the 2000s. We implemented a system of environmental protection that has improved our total performance. In 2016 Bibione has been awarded once again with the Blue Flag, with a total of 26 Blue Flags. This represents an important quality certification: clean seawater, environmental protection, modern and comfortable facilities, safety services and measures. 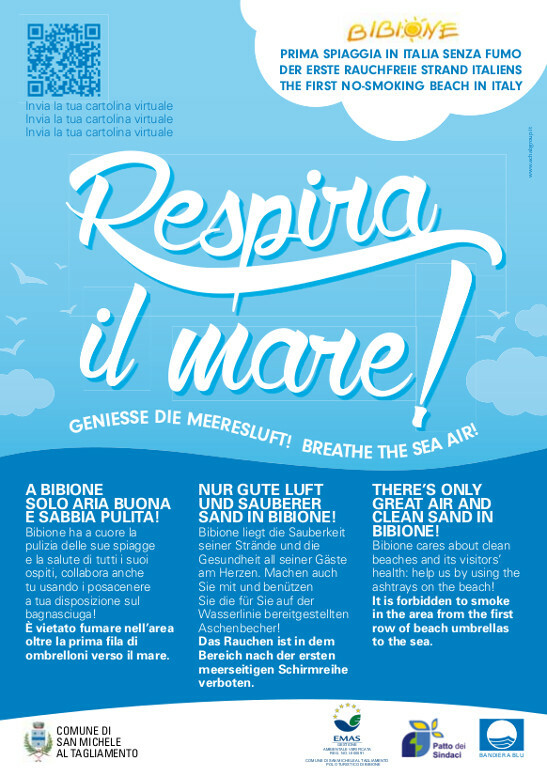 Breathe the sea is the name of the first project in Italy and in Europe for a smoking-free beach. Smoking is forbidden along the whole beach, between the first row of sun umbrellas and the sea. Separate waste collection also at the sea. 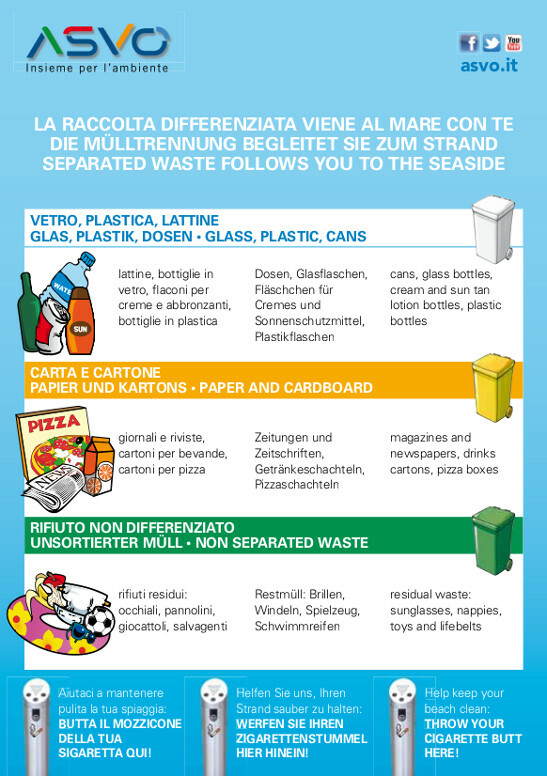 To promote a correct separate waste collection on the beach, we will deliver a brochure indicating how and where waste disposal can be made. The train of recycling! Hundreds of coloured plastic bags are collected every day to be later recycled. 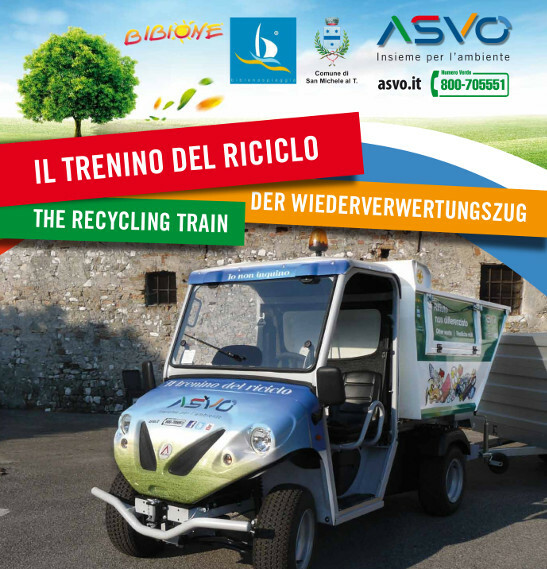 It´s a useful and important service promoted by ASVO, the Town of San Michele al Tagliamento and Bibione Spiaggia, to offer our tourists a clean and beautiful beach.